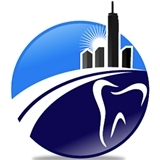 MyNyc-Dentist.com (New York) - Book Appointment Online! Very pleasant/ approachable, as well as all of the staff I have seen there! I haven’t been to the dentist in a couple of years now but Valerie - the dental hygienist who worked on my teeth - makes me want to come back ASAP. Really! She was so great. I cannot thank you enough for making me feel so comfortable, Valerie. Dr. Gorczyca was very thorough and helpful. He was careful to explain all my options and understood how important it is to me to get everything done ASAP, which I appreciate given the procedure I'll need. He was friendly, efficient, and made me feel like I certainly chose the right dentist! This place is so well run.GREAT dentist office. Nice office, nice folks, very professional and knowledgeable!